Welcome to our Skiers, Ltd. home on the web for the 2018-2019 ski season! 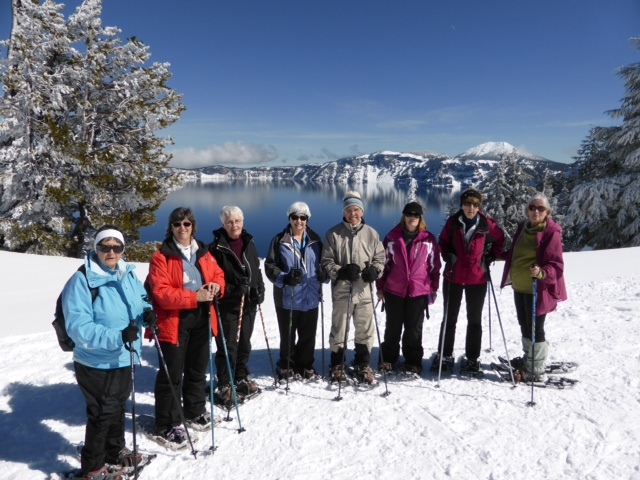 We are a small ski club with members who enjoy both downhill and cross-country skiing. We meet monthly, usually on the afternoon of the 3rd Sunday. We enjoy getting together for hiking, cook-out dinners, annual golf outing and more. During the winter, we car-pool to local ski areas. That helps us to get in the mood for our more exciting week-long ski vacations! Click on the "Trips" button to find out more about them. The "Contacts" button will put you in touch with one of our officers who can tell you all about our upcoming events. Skiers, Ltd. is a member of the Ohio Valley Ski Council. Please contact the trip leaders regarding availability and current pricing. 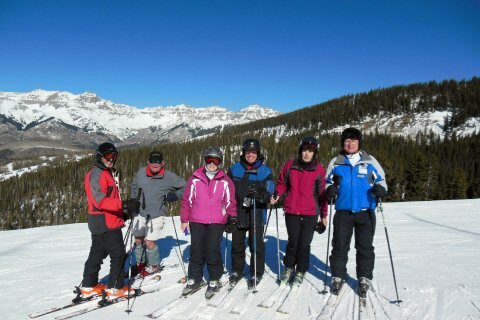 We are going to ski with the OVSC gang at the Top of the Village property at Snowmass Colorado. The Top of the Village location is ski in/ski out. Amenities include a large outdoor pool, outdoor hot tub, ski storage, exercise room and overnight ski tuning. Each condo features a complete kitchen, gas fireplace and private balcony or patio. 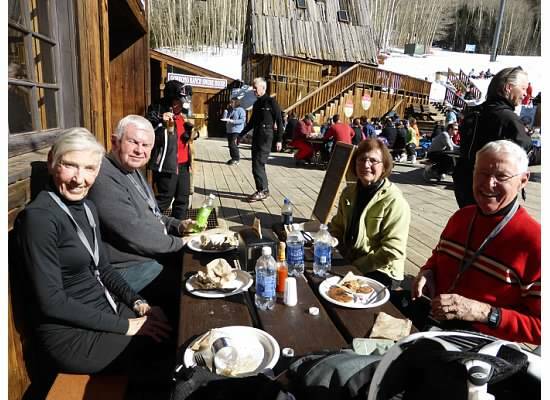 Snowmass has nearly 5500 skiable acres and is for all levels of skiers. There are 40 chair lifts and 3 gondolas providing access to 33 green runs, 144 blue runs and 57 black runs plus double diamond black runs. And there are many optional activities as well. Any questions or for copies of the application, email Bob at eiberrj@gmail.com or call 614 451-4743. Arrangements have been made for our 2019 Holiday Valley ski trip. The dates are February 11 through February 14, 2019. We will car pool to Holiday Valley on Monday, February 11 and depart on Thursday, February 14. A block of 10 rooms is being held for us at The Inn at Holiday Valley. As everyone knows who has gone on these trips before, this is a wonderful accommodation as the Inn is right on the slopes and 20 feet out the back door from one of the lifts. Those who wish to go on this trip are to telephone Holiday Valley and reserve your room with your credit card. You can contact reservations at The Inn at Holiday Valley with the toll free telephone number 800-323-0020. Tell Reservations that you are from Skiers Ltd. in Columbus, Ohio. 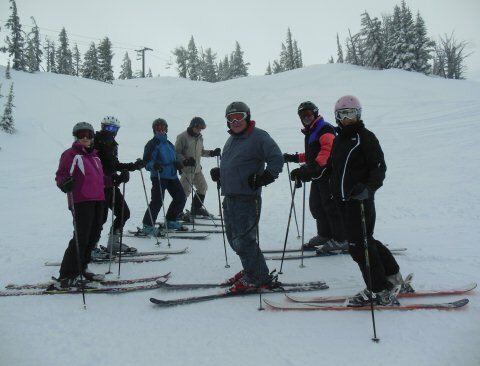 The three nights lodging will be will be Monday, Tuesday, and Wednesday nights, February 11, 12 and 13, with skiing on Tuesday, Wednesday, and Thursday. Ten Business Standard rooms are being held for our group. The cost of these rooms and the lift tickets will be sent to me at a later date. The rooms have two double beds and so two people will share each room. The room cost includes overnight accommodation for two, all-day lift tickets for two adults, and continental breakfasts. The amenities of the hotel are ski -in, ski-out, swimming pool, sauna, and hot tub. Once you have reserved your room and chosen your roommate, contact Nancy Verber to let her know you are going on this trip. 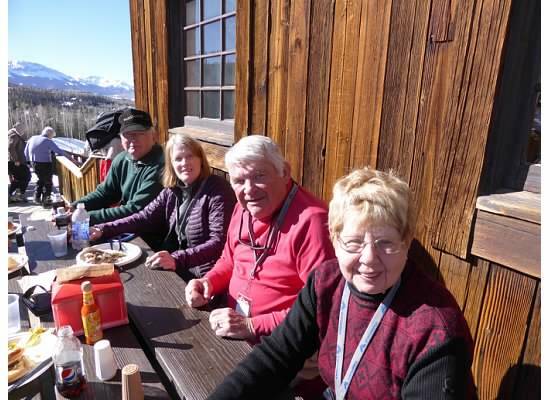 Telluride: Enjoying the mountain and the food! Scroll down to see our trips!